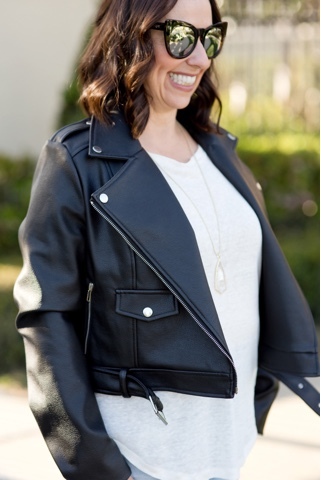 I love wearing dresses but sometimes it is fun to step outside my comfort zone and try a cool look like this moto jacket and these amazing Agolde jeans. 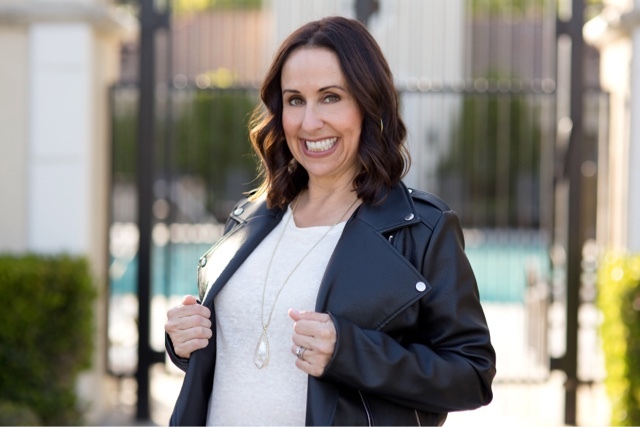 I found both of these pieces when I hosted the Nordstrom Fashion Island Spring Fashion Show (you can see that post here). These were some of my favorite pieces in the show and it was so fun styling them with just a basic white tee, these comfy Jeffrey Campbell lace ups, and this cute Kendra Scott necklace. I am really liking this cropped jean trend. At first I thought "No way, I cannot pull this look off", but after I saw them in the Nordstrom show I thought, "yes I can" as long as I keep the rest of the outfit simple. This look is perfect for dinner with the girls or out on a fun night on the town. It's super cool and chic. What do you think of this cropped jean look? What about a moto jacket? Let me know. Thanks to Gabi Wells for photos and happy reading!!! !